Yes, a proud husband. Just ask his girlfriend. I’m not much of a gambler, but I’m willing to bet that the average citizen hasn’t donated Jack to this Go Fund Me account and that the vast majority of it is coming in from George Soros and the like. I agree, Peter Strzok is probably the most repulsive individual you can think of to be used as a martyr… But he does have the advantage of being truly representative of today’s Democrat Party. Have you notice Peter Strzok is like the hero of an old Republic WWII movie. He shows up in every decisive scene. The John Wayne type who wins the war single handed. 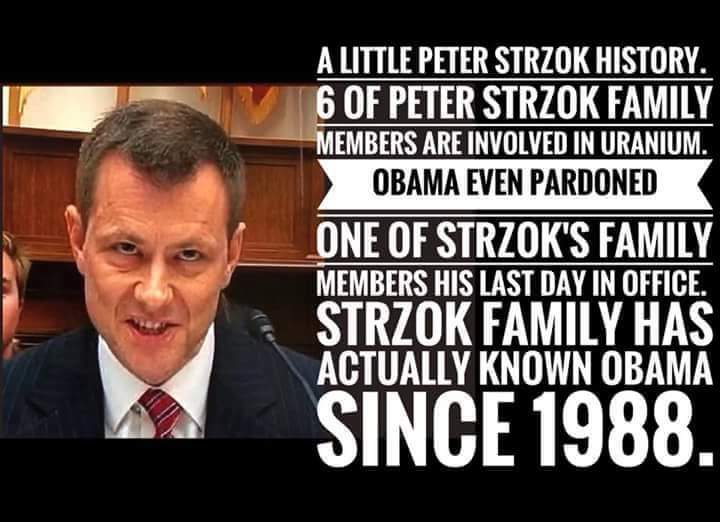 Was Strzok the only agent the Bureau had, or was the trusted pet player of the Obama Regime? Maybe the entire Federal Bureau of Investigation is not corrupt, but the DC headquarters sure is rotten to the core. How about closing down the entire headquarters and bring all new leadership. We surely must have a closed military base which can be re purposed.